Road Trail Run: 2018 Hoka One One Cavu and Mach Details and Initial Reviews: Hoka Re Discovers Its Mojo? Comparisons to Clayton its Predecessor. 2018 Hoka One One Cavu and Mach Details and Initial Reviews: Hoka Re Discovers Its Mojo? Comparisons to Clayton its Predecessor. 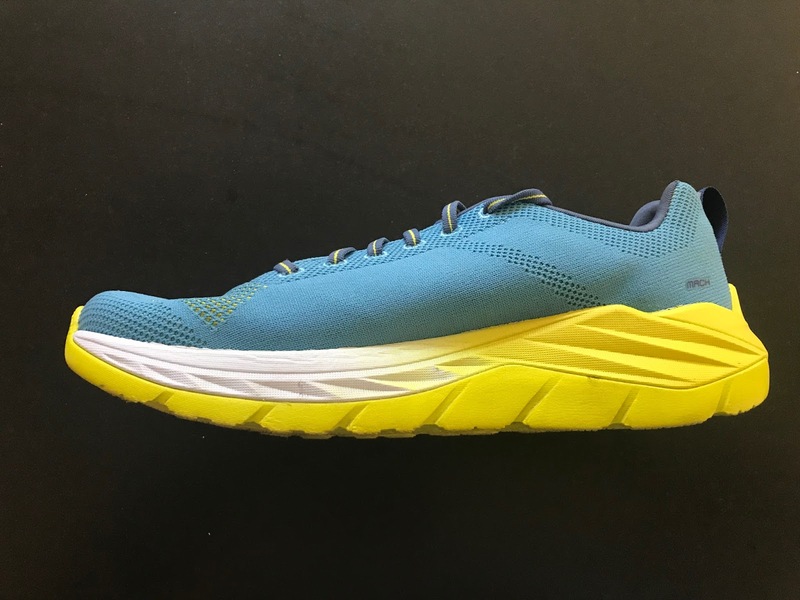 Hoka One One will launch two new light performance trainers in 2018: Cavu and Mach. 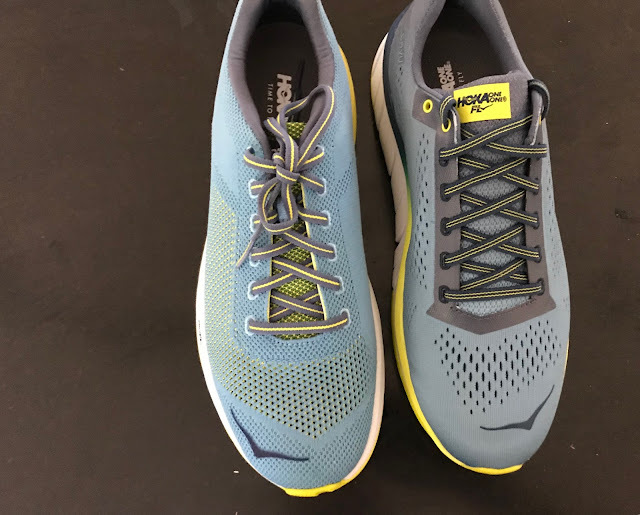 Both are in Hoka's new Fly performance line. 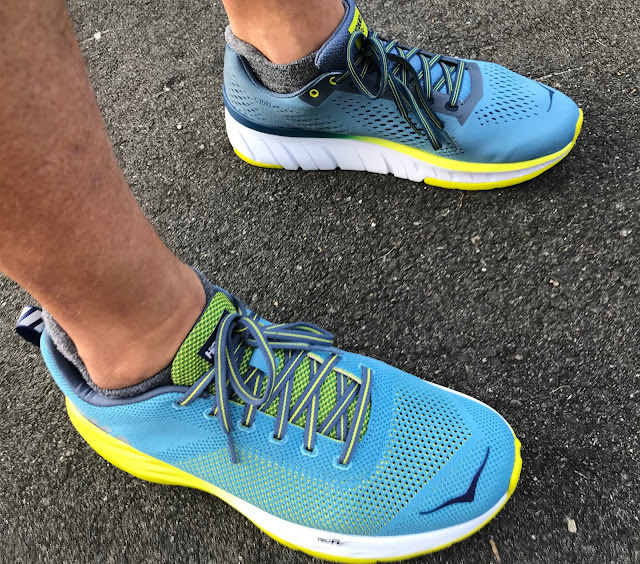 Hoka has had some great shoes the last few years but often they had compromises built in that left the final result less than ideal. Based on our initial testing these new models have no such compromises. 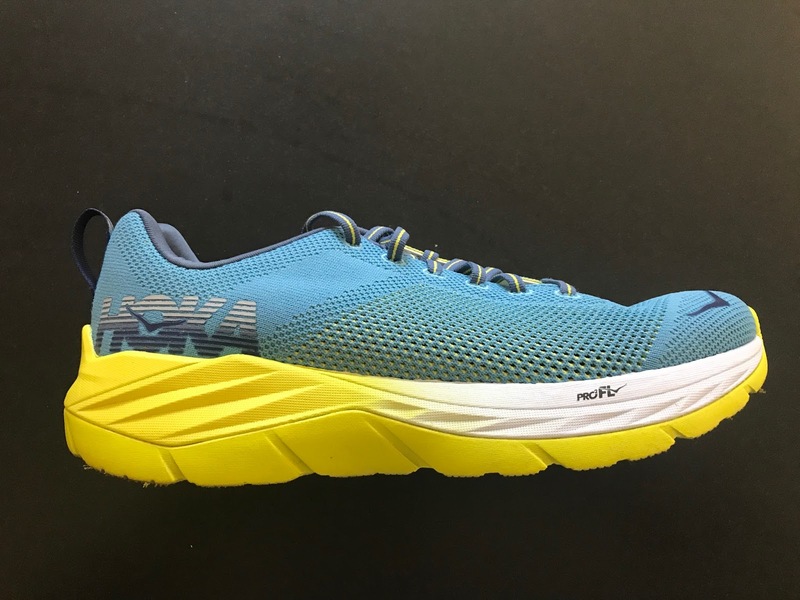 Update: See our full reviews of the Hoka Mach here and Hoka Cavu here. Both will be available in January 2018 launching at RoadRunner Sports. The brand new Cavu and Mach ( a direct successor to Clayton in what should be considered a larger "update"... and name change), have sub 8 oz weights, plenty of cushion, response, and comfort for such light weights. By the numbers they are very, very similar but actually are quite different on the run. The all new Cavu ($110), 7.8 oz/221 g in my sample's men's size 9 has a 24mm heel/20 mm forefoot stack, 4 mm drop. It is called out as "a little lighter and a little lower than its category mates." And it is lighter than its catalog spec of 8.2 oz and very reasonably priced something I really like! Mach ($140), 7.9 oz/224 in my sample's size 9 with a 24mm heel/ 19mm forefoot stack, 5 mm drop so 1mm less stack in forefoot than Cavu and again in our sample lighter than the catalog weight. Mach is a direct replacement for the Clayton 2 (RTR review).and with near identical overall geometry At first I was skeptical that this "renaming" was just that, but there are enough changes to make Mach an almost "new" shoe, worthy of consideration for those who had issues with the Clayton's upper and especially where it met sockliner and midsole with its tendency to cause arch blisters as well as those who felt Clayton transitioned a bit stiffly as I did. Wait you'll say by the numbers, stack height and weight they look and are built almost the same yet ...not quite, and the differences make them run quite differently and present clear choices. Both share a new dual density ProFly midsole, softer in the heel firmer in the forefoot for protection and propulsion. ProFly is an evolution of the similar Pro2Lite midsole makeup found in the Clayton 1 and 2 (RTR review), Tracer (RTR review), and Speed Instinct 2 (RTR review) but with a new foam. This new midsole material is designed to be more resilient and energetic/energy efficient and attenuate shock better. We found it slightly more energetic. Overall both shoes are more responsive and less bouncy than the Hupana (RTR review) with its single slab of RMAT for both outsole and midsole. The Mach midsole has the classic Hoka foot/heel "bucket seat" of high midsole walls and thus is very stable at the rear. The Cavu has lower, less thick more conventional side walls and combined with the outsole decoupling is livelier for sure getting off the heel, if a touch less cushioned and stable than Mach but is certainly stable at the heel as it has, while losing the bucket seat, a firmer heel counter than Mach. Both have RMAT outsoles with the Cavu being thinner and with less coverage than Mach. Cavu transitions off the heel very smoothly and quicker than the Mach but maybe with a touch less stability and firm pop due I think to its decoupled heel and interrupted outsole coverage at mid foot. The Mach with its longer hollowed out center section and more continuous cross grooves and chevron shape broad lugs transitions more smoothly than the Clayton and has a longer flex, although it remains a fairly stiff shoe, especially when new. The stiffness just isn't as noticeable as it is in the Clayton. 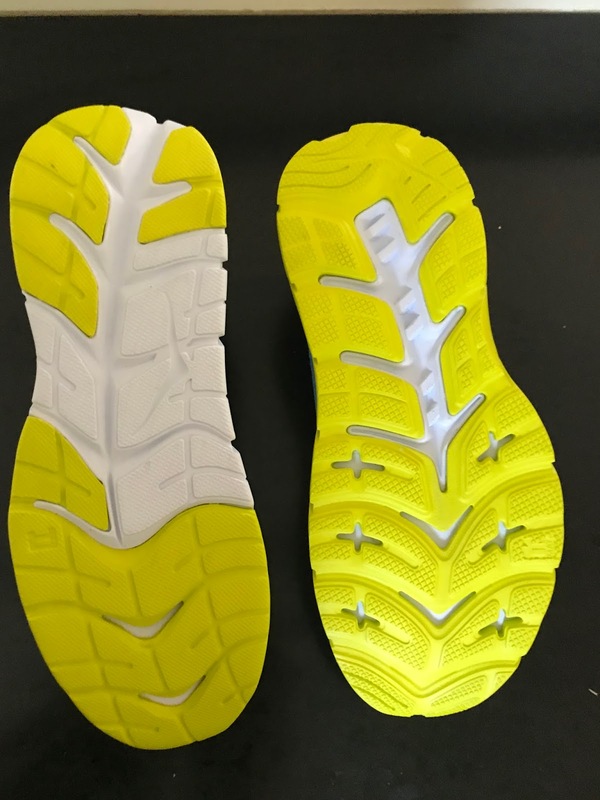 By contrast, the Hupana has a midsole outsole 100% made of RMAT which gave a bouncy energetic ride but a less responsive one than either of the two here. Here the combination of RMAT outsoles and ProFly midsoles make the Cavu and Mach snappier and more responsive but less bouncy while beingsomewhat stiffer than Hupana which has a similar overall stack height of 25mm/20mm, 5 mm drop. 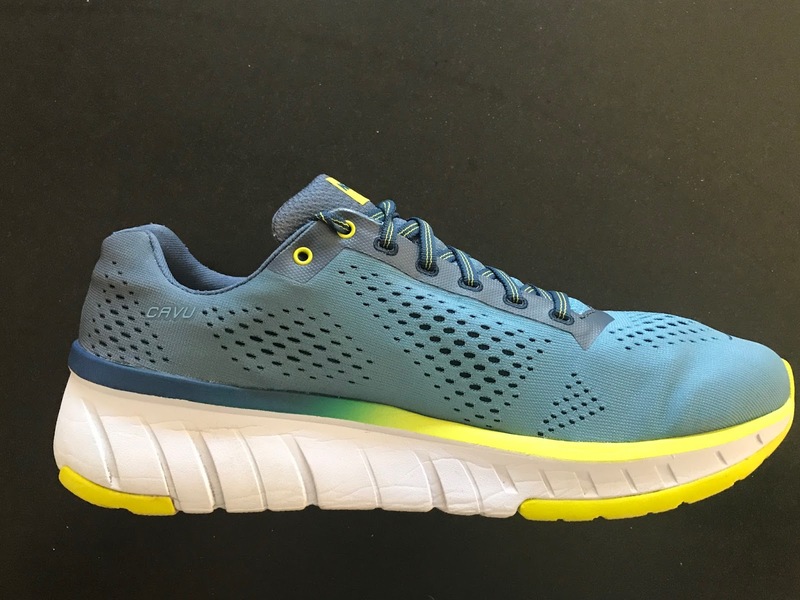 The Hupana, continuing in the line, was our 2016 Shoe of the Year and was the first Hoka with a knit upper. It was fine but a bit dense, snug and rough. These uppers are very supportive yet far less constricting and snug with the Mach slightly denser, thicker, more chain mail like, and snugger than the Cavu with its soft shell fabric like. I would say the Mach's upper is most similar to Hupana's but roomier and less constricting. My samples were a half size up from my normal and somewhat overly roomy all around. Most should have no issues at true to size and those seeking wider toe boxes should be fine particularly in the very soft unstructured toe box of the Cavu. It fits wider than it might appear in the photos below. There is no toe bumper stiffening at all in Cavu and only slightly denser mesh to create toe overhead room in the Mach. I find the Mach slightly pointier than the Clayton, worn side by side but in no way was this an issue for me, or likely for most as the Mach upper is softer if dense mesh, similar to Hupana, but more open and foot friendly with no overlays but very decent overall foot hold. Gone are the extensive overlays and plasticky fairly stiff and awkward front flexing upper of the Clayton 2 along with the mid foot rise of the midsole on the lateral side up front. The Mach fit is true to size for me. To date, I have had zero issues with the arch irritation I had in the Clayton 1 and to a lesser extent Clayton 2, This was an issue specially when new and when they were very, very stiff in the first 10 miles or so. I tested my Clayton 2 on one foot and Mach on the other for a 5 mile run and noticed some slight arch "bite" or pressure and mid foot midsole "height" in my decently broken in Clayton 2. I felt none of this in the Mach likely due to the outsole coverage being reduced at mid foot, the longer midsole cavity, the longer flex of the Mach and maybe some small reductions to the mid sole wall height at mid foot. The Mach has denser engineered mesh on the medial side (photo below)than lateral side (photo above). This is a very neat approach which I am sure saves weight as we are no longer dealing with layers to attach to provide mid foot support with the upper and all its layers unitary and one piece with density varying as needed for both layers together as precisely as a single link in the knitting. No need to laser cut holes, attach different densities together, or glue in support straps inside or out. The Cavu in contrast has an extremely soft engineered mesh upper with a full single material lining, unlike Mach. Truly a slipper like fit but with plenty of support if a bit roomier for me in my half size up sample than Mach was so for sure. Cavu will be true to size shoe for most. There is no stiffening at all in the front of the toe box, it could use a bit. Cavu's tongue is a bit more wing shaped and ever so slightly more padded than Mach's. The lateral and medial sides of the Cavu's upper are pretty much identical. I am surprised that such a truly unstructured upper holds the foot as well as it does if on the looser more easy going side than Mach. The ride of both of these new Hoka bridge the gap between racer, performance trainer, and trainer all in one shoe, brilliantly. Both are decently responsive, well cushioned, and light. I find the Cavu with less thickness of RMAT slightly more responsive if firmer, although from also from a pure fast running standpoint the upper of the Mach is slightly more supportive. If I had to chose one shoe to do all running from races to faster training and my mileage overall was on the low side I might lean towards the Cavu over Mach. It is a fun shoe to run any distance leaning towards shorter faster. If I was looking for a solid very light weight daily trainer and long racer for heavy mileage with a bit more cushion and flexibility I would lean towards the Mach. Both shoes are do anything shoes. The Cavu has a friendlier, softer upper for sure that is not quite as supportive as Hupana's. Underfoot the choice comes down to balancing more response of the Cavu, given its combination of ProFly EVA and thin RMAT outsole, with Hupana's bouncier livelier ride from all RMAT midsole and outsole. The Cavu is very similar to the Tracer by stats. 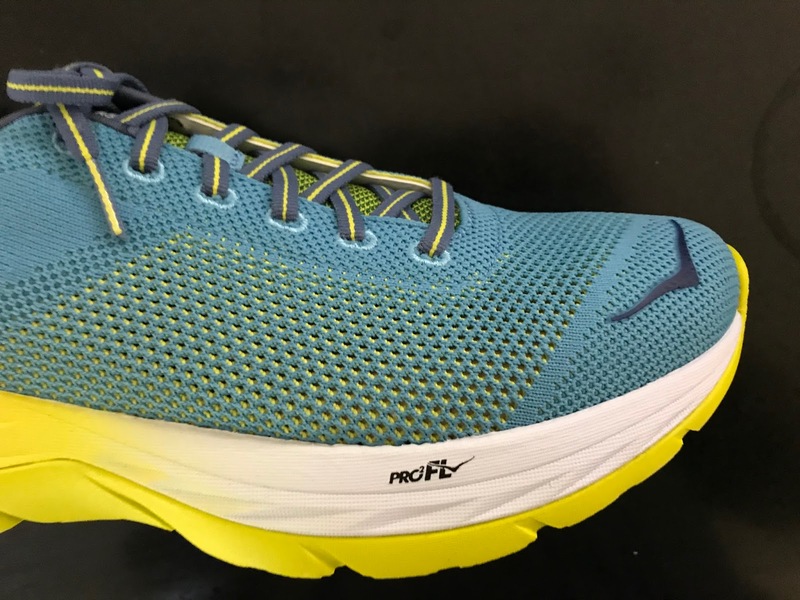 The slightly lighter, highly responsive Tracer is for most a race shoe while the slightly softer and bouncier (due to its RMAT outsole and slightly softer ProFly midsole) Cavu topped off with a less structured roomier upper is a more comfortable and versatile performance training and racing option. The Clifton 4 weighs more than an ounce more and has about 4mm more front and back cushion. While the Clifton 4 is slightly firmer than the its predecessors it is still a soft shoe particularly at the heel where a sharp bevel contributes to making it more unstable than Mach. Clifton 4 upper is snugger and less foot conforming than Mach. I prefer the firmer ride of the Mach and its greater stablity. These two share similar intents of creating a versatile do anything shoe at a reasonable price. If you like firmer midsoles, more response but stiff response and lots of durable outsole rubber you will lean towards the Roadhawk. While beautiful, its upper is snugger and narrower overall and a bit rough on the foot compared to the Cavu's slipper like fit. As a result I think most will reach for the Cavu more frequently than the Roadhawk if both are in their shoe quiver. Side by side, one on each foot on the run, the Mach transitions more smoothly with less of bump at mid foot and no arch irritation to date. The forefoot seems slightly softer maybe due to the new outsole configuration, with the heel firmness and stability about the same. The new ProFly midsole is ever so slightly more energetic. The Mach upper is superb and does away with all the plasticky feel and overlays. Clayton fans will be very pleased with this "update" which for me solves all issues with Clayton. There are many similarities here, including about the same weight. However, the Cavu upper while far more relaxed, maybe to relaxed for some for racing, is also superior to Kinvara 7 or 8 in in comfort and fit. Underfoot the Cavu, while on the firmer side transitions far more smoothly than the Kinvara 7, is not as stiff, and is more forgiving. I found the Kinvara 8 overly soft in the heel and while improved still has an awkward upper. Comparing to Mach while Mach is not quite the near racer the Kinvara it is far more versatile day in day out than either Kinvara and is a better long race and longer run option. I like the Zealot ISO 3 a lot. It has a great upper similar to the Cavu with more support overall. 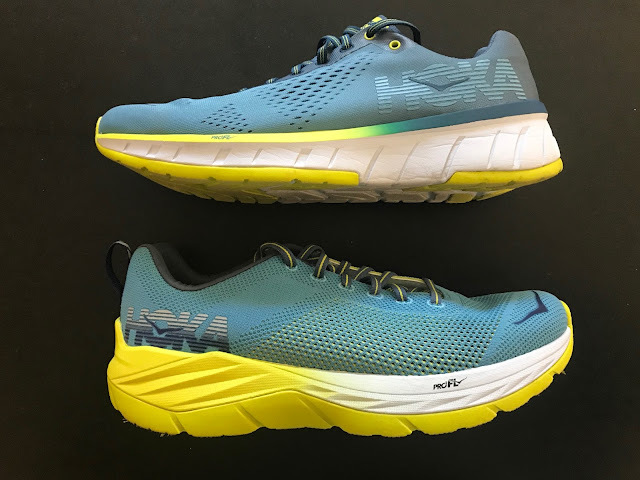 This said, the consistency of under foot feel from the ProFly midsole and RMAT outsole has me leaning to either Hoka and especially in direct comparison of Mach to Zealot. This said RMAT while durable and which adds to the ride performance and comfort is not the durable fuller rubber found on the Zealot. 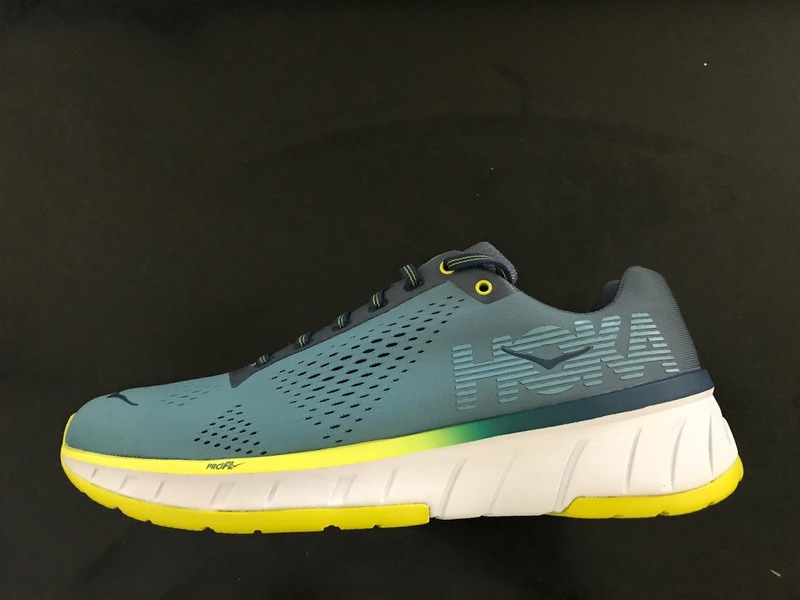 While I love Boost midsoles and their bounce, here, the lighter Hokas which are slightly firmer, more responsive, and more stable get an edge from me despite having less durable rubber than Boston's excellent Continental outsole. The Hoka were provided at no cost.The opinions herein are entirely the author's. I usually enjoy the reviews on this site, but this review needs so much editing that it was genuinely hard to follow what the differences were between the two shoes. How does the ride compare? I find the Clayton 2 generally comfortable but stiff/dead any slower than 7:30/mile. Sorry you feel that way but this was a tough one to write and we will have a full review soon from multiple different perspectives. Many similarities between Cavu and Mach, comparisons to Clayton to be made, etc... 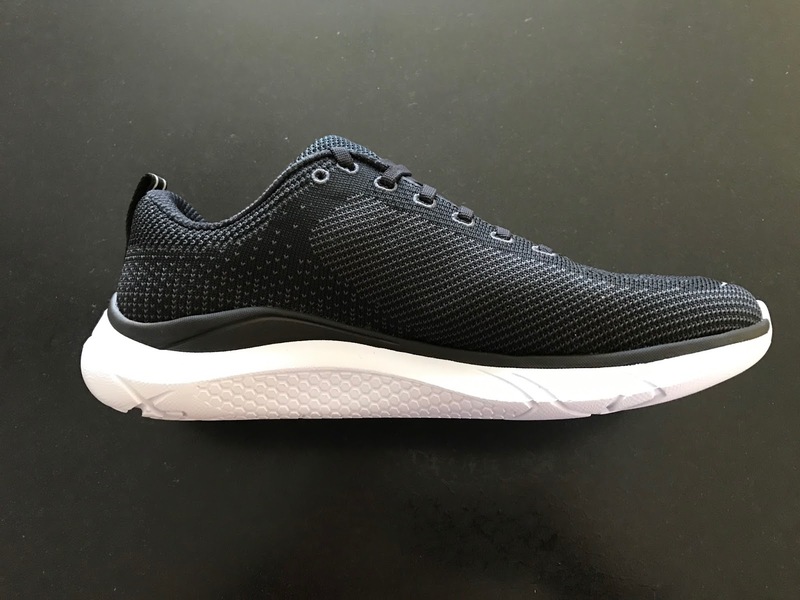 I struggled on how to write this one as it was not a straight one shoe review or even two shoe review where everything is black and white, You would find the Mach slightly less dead feeling at slower paces as it is has a longer flex than Clayton and a more flexible outsole even if overall it flexes about the same as Clayton as far as stiffness. The heel ride is very similar to Clayton. Cavu while similar has a more agile easier to transition and toe off ride but it is a bit firmer. Sam, how do they compare to the Zoom Elite 9 and Zoom Fly? Hi Josh, Cavu is closer to Zoom Elite 9 than to Zoom Fly. Cavu has a more consistent heel to toe feel and transition than Zoom Elite, and is somewhat firmer in the heel and forefoot than Zoom Elite. While I love the forefoot feel of the Zoom Elite I find its heel softish, a better trainer than racer for me. it has a fantastic upper somewhat snugger than either of the 2 Hokas. Mach is the most stable of the three and most cushioned overall, particularly at the forefoot. It is the steady fast shoe with plenty of training cushion and stability in a super light package ready for long races as well. Zoom Fly has a more limited utility in terms of pace than either of the other 3. It seems to work best for me at a moderately fast tempo for me, not as well at race pace or slow easy going. Vapor Fly works superbly at both those same moderately fast tempos and race paces. Hope this is helpful. Reviews of Zoom Fly, VaporFly and Zoom Elite 9 at the link below. Mach looks less breathable than Clayton 2, propably because of the denser mesh on the medial side. The Cavu might be the same because it has less mesh allover than the Clayton 2 and the Mach. Another difference between the Cavu and the Mach is that the Cavu has 7 lace holes, while Mach has 6. This means that you can't use the lock lacing method in the Mach. I think the Mach will be more breathable than Clayton as the mesh really in all areas, except the medial side is more open than Clayton 2's. See the picture showing the interior. The Cavu is a a thin fabric like mesh with lots holes. Both have been breathable so far for me. You are correct about lace holes and while Mach is quite narrow in its heel collar opening and decently broad over mid foot some may have issues with no lace lock hole. I'm a "sort of" Hoka fan, but mainly I get frustrated with lack of durability and longevity in their shoes. Clifton 2 and 3 were nice to run in but never got more than 200 miles out of a pair. I'm looking at where the mesh on the Mach is attached to the sole and thinking that it looks like a serious weak point ready to blow out. Cavu looks more robust from that perspective. The side profiles from the Mach make the toe box look a very strange, lumpy shape? Be interested in updates at 100 miles+. Sam, it sounds like the Mach might be a lightweight trainer that is good for someone who needs some light stability. Would you say that is true? How do you think it compares to shoes like the Adidas Tempo 9, Asics DS Trainer 22, and Mizuno Wave Shadow? Looking for a shoe that would serve as an uptempo trainer / half marathon race shoe with mild stability. You are spot on. I think it does have some light stability features due to its wide platform and especially the heel to mid foot bucket seat construction. I have not run the DS Trainer but Mach should have have good stability to the rear of the shoe comparable to the others and a bit less potentially a mid foot as there is no plastic plate although it is super broad on the ground at mid foot.The Tempo is the most stable for sure. Although the ProFly midsole is supposed to be more resilient and durable than older Pro2Lite and the RMAT outsole is soft but durable I don't know given how light they are if you pronate heavily if they might over time collapse to the medial side more than the others which have their plastic plates and Tempo also its dense EVA layer. For sure it is a faster lighter trainer than either Tempo or Wave Shadow which while agile is not that light or as cushioned. Reviews of Tempo 9 and Wave Shadow at the index page below. Sam, how did both shoes compare to the Altra Escalante? I only ran briefly in the Escalante and no longer have them having passed them on to another tester for our review. By the numbers the Escalante has a stack of 25/25 so more forefoot cushion so a big difference with Cavu and it has a more knit like engineered mesh upper which i recall is more structured and somewhat snugger than Cavu. Underfoot of course it is zero drop vs. 4mm in Cavu. If memory serves its ride was actually a bit less firm or maybe more bouncy than Cavu due to its EGO midsole and better cushioned for sure with that higher forefoot stack and softer but still responsive EGO midsole. Both are uptempo shoes and if it wasn't for the zero drop I would prefer the Escalante. I have no issues with zero drop but do sometimes miss some heel in Altra. We will compare it to Cavu in our full review as some of our reviewers have run in both. The forefoot in the Mach is significantly mushier than the Clayton, resulting in poor proprioception. The midfoot is less stiff and the flex point at the ball of the foot is farther back, closer to the heel, resulting in poorer leverage when toeing off. 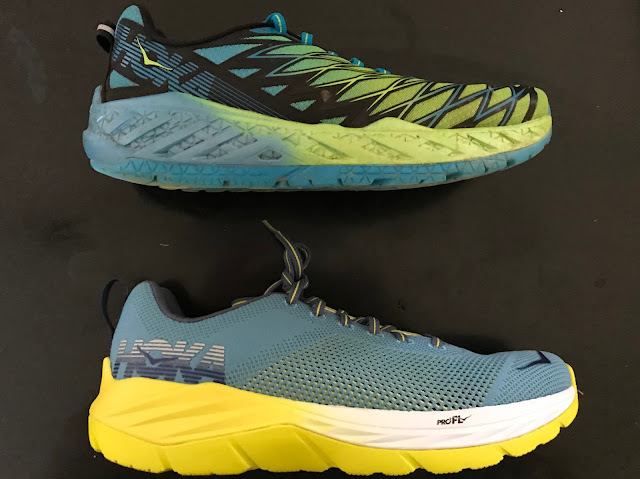 Basically Hoka took a distinctive shoe and made it more like the rest of their line, meaning that those of us who depended on what the Clayton provided are out of luck. Thanks for the comprehensive shoe review; I have run in both the Clayton I and the Clayton II when I couldn't get the Clayton I anymore. I luckily didn't have problems with blistering in either Claytons I think because I replaced the inner shoe liner with a new liner from a pair of Asics which seemed to to do the job. I think because of your review I will probably pick up a pair of Mach based on your review. Since I wore out my Clayton II's and couldn't find a replacement I bought a pair of Cliftion IV's which I were not as effective as the Claytons. My problem is that I live in Poland and have to endure the cold weather and the Mach look to be a bit thin so I'm wondering what kind of weather that they were evaluated in. I hope that the Mack are good shoes and I will let you know how they work for me. One problem that evaluators don't really address are we runners that Supinate and wear out the outside edge of the shoe rather quickly. For the record Hoka's seem to wear out rather quickly for us. It would be nice if Hoka addressed this issue instead of shoes that mainly addressed those who pronate.